Readly International, the world’s leading app for reading digital magazines based on an “all-you-can-read” business model, and Europe´s largest magazine publisher Bauer Media Group has entered into a global agreement in reference to digital distribution of Bauer magazines. This means that over 100 new titles, such as Cosmopolitan, InTouch, FHM, Auto Zeitung and Grazia will be available in Readly’s content. This agreement makes Bauer Media the very first major international publisher to digitally distribute its content on Readly on broad international level. Bauer will kick off with more than 100 titles from the UK and US, soon to be followed by Germany. 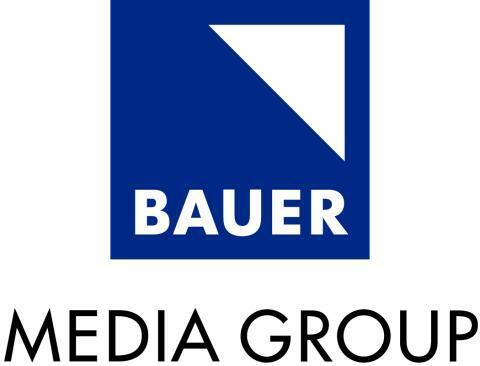 The Bauer Media Group is one of the most successful media companies in the world. With more than 600 magazines, 400 digital products, and 50 radio and TV stations, Bauer reaches millions of people across the globe. Andreas Schoo, member of Bauer Media Group Executive Board says; - The partnership with Readly is a further step on the road to extending the sale of digital magazines and content as well as tapping new target groups. Flat-fee models are already very successful in other media segments such as music and film. 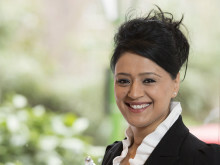 At the same time there is a growing demand for digital magazines. So for Bauer this partnership represents a consistent step forward that will further promote the development of paid content. Carsten Schüerhoff, Head of Digital Brand Solutions & Innovations at Bauer Media in Hamburg says; - With this new distribution channel we will reach new target groups – and thus new sources of revenue and Readly offers an ideal platform for digitally-inclined people who like to be inspired and want to choose their own digital magazines individually and spontaneously without being restricted to certain titles. Readly is one more channel for fully exploiting the sales potential of our brands. With the Readly app for local and international content, Bauer Magazine will be available on tablets and smartphones in around 50 countries. Often referred to as “the Spotify or Netflix of reading” by the media, Readly is a game changer in the publishing world by offering unlimited content at a low fixed price. A Readly account can be used on up to five devices simultaneously. Henrik Barck, lead negotiator for Readly says; - It is around 10 months since I first met Bauer Media Group in Stockholm. To be able to announce this groundbreaking global partnership today is fantastic news and the result of a great team effort. During these months of talks and negotiations, it has been a pleasure to get to know the forward thinking spirit of Bauer Media Group, and it is very clear to me that Bauer is a publisher that aims to be at the forefront of the digital revolution. We feel certain that other major international publishers will soon follow their great example. Stefan Ohlsson, Chief Content Officer at Readly International says; - We are of course extremely excited about this cooperation with Europe´s largest publisher and as we all know content is king. Readly is in an exciting growth phase, and this cooperation certainly will further help us promote reading around the world. Readly is a service that lets customers have unlimited access to hundreds of national and international magazines in one app. The service offers fast download and easy, intuitive use so that the reader can read magazines online effortlessly. After a free two-week trial period, subscribers pay € 9.99 per month (in US $ 9.99; in UK £ 9.99) for unlimited use. This price includes use of the service on up to five devices, allowing the service to be shared among the whole family so that everyone can read their favourite magazines online. Currently the service includes close to 600 titles, but the number of titles and issues available increases continuously; you can find the current selection at http://www.readly.com. Readly International AB, the company behind the Readly service, is a privately owned company headquartered in Sweden. Formed in 2012, Readly today has offices in Sweden, the UK, USA and Germany and a rapidly growing user base in more than 100 countries, making Readly the world’s leading digital platform for reading magazines online. For publishers, Readly represents both additional reader revenues and deep insights into reader behavior. The magazine version is available globally. In Sweden, Readly also offers a book version that lets readers experience the original print layout including images. This delivers an unrivalled digital reading experience for books where photos and illustrations are important, such as children’s books and cookbooks. Readly has also introduced a pilot version for newspapers.